Welcome! This blog is written by a Christian Environmentalist active in the church greening field in Australia. Follow Crown of Thorns to keep up to date on church greening news in Australia, learn more about what the Bible says on the environment through 'The Green Bible Challenge', pray about important issues, learn about the Five Leaf Eco-Awards and reflect on what it means to be a Christian Environmentalist in today's world. “What does it mean for us to incarnate Christ, to live redemptively in a materialistic world? Dwight Friesen, Quest, Seattle in Gibbs & Bolger, 2005, Emerging Churches. "that the world might be saved through him"
"For the creation waits with eager longing for the revealing of the sons of God." "The LORD God put the man in the Garden of Eden to take care of it and to look after it." 1. God is the creator, sustainer and redeemer of creation. 2. Covenantal Stewardship (we have a covenant with God as stewards of the earth). 3. The creation-fall-redemption paradigm (God made a good world; human failure broke the relationships between god, man and creation; Christ provides hope for all creation). 5.New Creation (a new Heaven and new Earth refers to a renewal and an earthing of heaven, not starting over). I am a 22 year old Christian Environmentalist who runs an ecumenical church greening awards program called the Five Leaf Eco-Awards. Through this program I work with churches to help them become more environmentally friendly and to overcome the barriers which have slowed the adoption of creation care practices in churches around Australia. Some days I hear fantastic stories about what churches are doing and it warms my heart, other days I feel like I'm banging my head against a brick wall. I have no formal training in theology, but I do have a great love for the Bible, and I believe that God's spirit is calling us to a fresh look at what His Word says and means in terms of the environment and how we, as humans, relate to it. When I'm not working for Five Leaf I am a university student studing environmental science and marketing. Many people find this combination of science and commerce quite strange which amuses me. I think if I was doing physics or chemistry it would be perfectly normal... the zoology is a bit more different. It is interesting at times though, because I often see both sides of things and I know how the 'enemy' thinks. 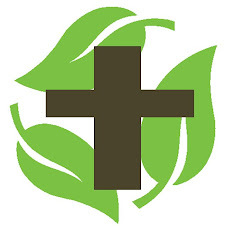 The Five Leaf Eco-Awards are an ecumenical awards program for Australian churches and religious bodies that provides recognition for their environmental achievements. Currently the program has pilots running in Melbourne, Sydney and Canberra and we are seeking more churches to participate. The Five Leaf Eco-Awards encourage faith communities to be more efficient in helping the environment and to play a more effective role in social change towards sustainability. It provides examples of what is possible, and a framework of steps to work towards and to allow comparison with other communities to enable exchange of knowledge and experiences. - Provide a system that is flexible enough to allow and encourage creative approaches and extensions of the basic program. - Encourage fellowship by providing a common goal with reachable targets and recognisable achievement. community to become a 'Green Church' in the sense of being environmentally friendly over these categories, demonstrating positive influence in the wider community for sustainability, and showing constant improvement of environmental practices. Behaviour Change for Sustainability: Keeping Promises: Do Pledges Work? Why doesn't your church go green? Interested in the Five Leaf Eco-Awards? Join me in completing the Green Bible Challenge! Grab your study Bible and a second hand Bible from your local op-shop. Then follow me as I read through the Bible, highlighting (in both Bibles using green) any passages relevant to creation and its relationship to God and man. When we finish you will have two Eco-Study Bibles. One for you, and one for your church. Stun your congregation with over a thousand verses about the earth - almost double the verses that relate to heaven or love. The purpose of this blog is to help equip you as Christian Environmentalists so you can green your church, life and local community. Time is short for creation, so start today! Success or crash? Or something in between..